What is VintageVW? It’s a global conversation that anyone can take part in. 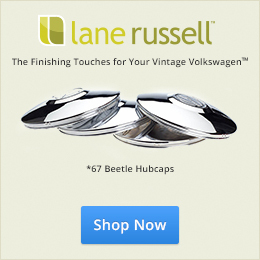 Are you restoring a Vintage Volkswagen Beetle or Bus? Just purchased your first VW and have no idea where to start? Have a daily driver? Curious about Vintage Volkswagens? All you have to do is post a tweet and tag it with the hashtag #VintageVW. People use the hashtag symbol # before relevant keywords in their Tweet to categorize those Tweets to show more easily in Twitter Search. Hashtags can occur anywhere in the Tweet. Example: @erokCom added the hashtag before the word “#VintageVW” in his message. The word is now a link to search results for all Tweets containing “#VintageVW” in the message. If Tweet with a hashtag on a public account, anyone who does a search for that hashtag may find your Tweet. If you don’t have a Twitter account, you can create one for free by clicking here! Thanks, Eric. I’ll have to try it. Can you use twitter to search for parts or tips?